Butternut squash lovers, this one is for you! 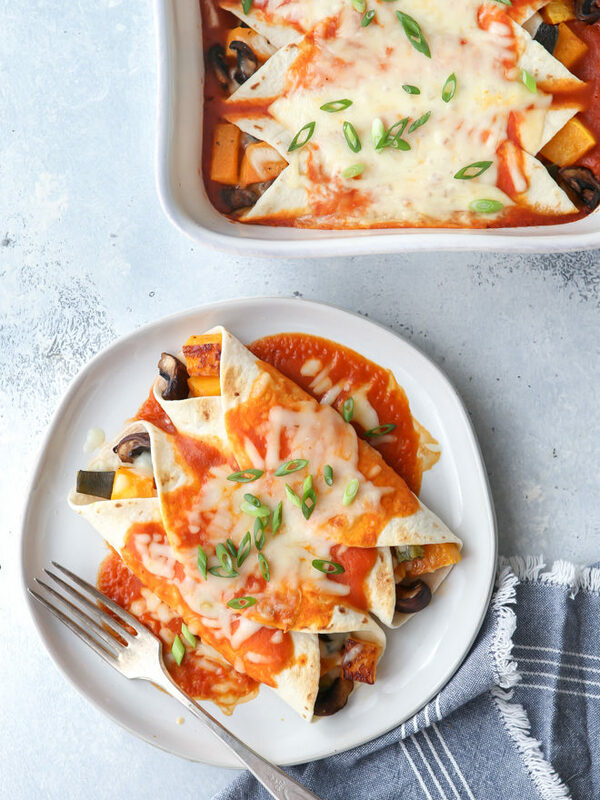 These enchiladas are filled with roasted butternut squash, mushrooms, and poblano peppers and smothered with a homemade butternut enchilada sauce. I think my family is nearing butternut squash fatigue. I know what you’re thinking— not possible. But I’m putting butternut squash in just about everything (I can’t get enough!) and I think I might need a little intervention. Here’s my latest creation— butternut squash enchiladas! Tortillas stuffed with roasted butternut squash, mushrooms, and poblano peppers and smothered in an easy homemade butternut squash enchilada sauce. 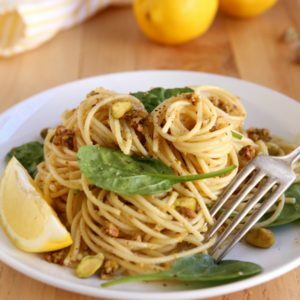 It’s a perfect fall-time meatless meal! Enchiladas can often feel like a lot of work with all of the different steps— preparing the filling, assembling, and baking— and that’s part of the reason why I’ve never made my own enchilada sauce before. But once I got the idea to blend butternut squash right into the sauce, I couldn’t let it go. And I’m so glad I didn’t, making the sauce was a cinch and my favorite part of this dish. These enchiladas are fabulous. They’re healthy, flavorful, and have just a hint of spice and heat (which you can scale up or down to meet your own preferences). I considered adding chicken or steak to the mix, but I decided there’s always room for more meatless meals in my repertoire and this one is guaranteed to please everyone. Enchiladas filled with roasted butternut squash, mushrooms, and poblano peppers and smothered with a homemade butternut enchilada sauce. Preheat oven to 425 degrees F. Toss butternut squash and mushrooms with olive oil and season with salt and pepper. Spread out in a single layer on a sheet pan. Place whole poblano peppers on sheet pan. 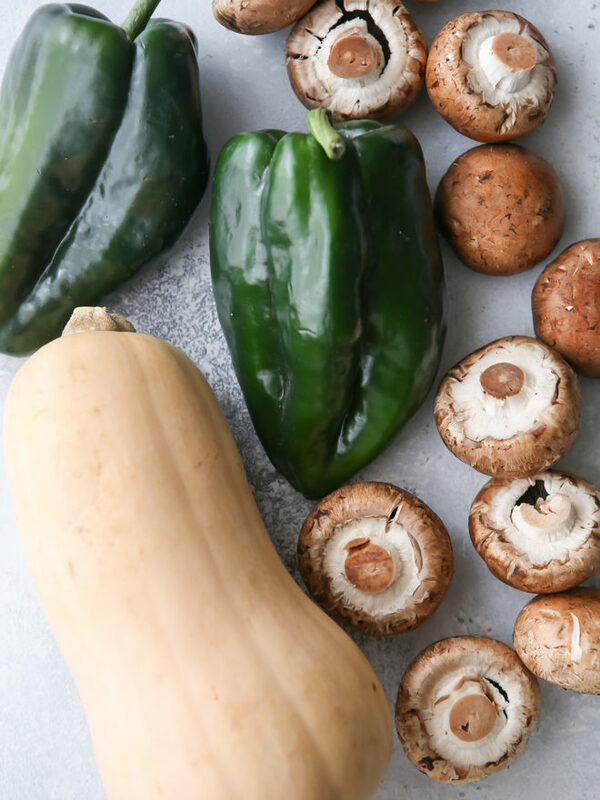 Roast until butternut squash is fork tender, mushrooms are browned, and poblano peppers are blistered, about 30-35 minutes. Wrap poblano peppers in plastic wrap and let sit for 15 minutes, then peel off skin and chop, discarding seeds and stem. Measure out 1 cup of the roasted butternut squash for the enchilada sauce and set the rest of the veggies aside. Heat olive oil in a skillet over medium heat. Add tomato paste, chipotle peppers, garlic clove, salt, pepper, cumin and cinnamon and saute for about 1-2 minutes. In a blender combine the tomato paste mixture with the vegetable stock and 1 cup of butternut squash. Taste and add more spices and chipotle peppers as desired. In a large bowl combine the remaining butternut squash, mushrooms, chopped poblano peppers, cumin and cilantro. Spread approximately 1/2 cup of the enchilada sauce into the bottom of a greased casserole dish. 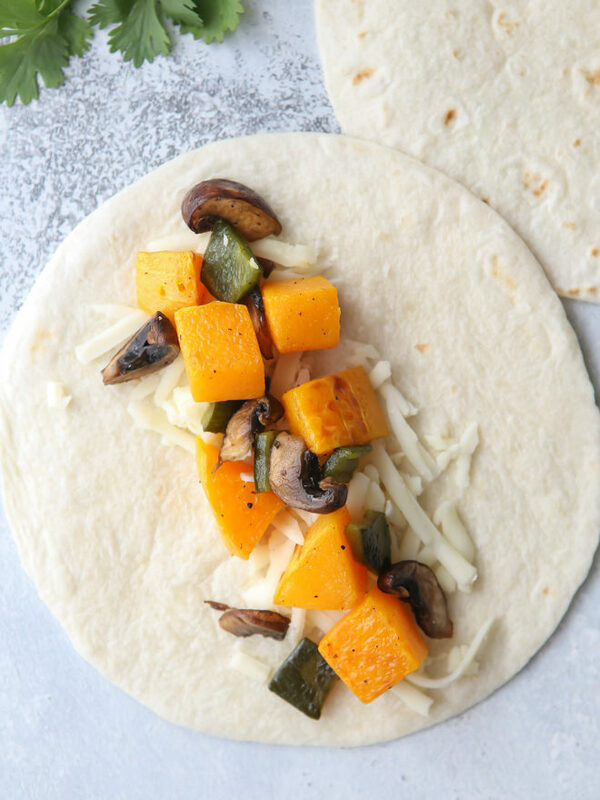 Spoon some of the veggie mixture into a tortilla and top with some cheese. Roll up sides and place seam side-down into the casserole dish. Repeat with remaining tortillas and filling. Spoon about 1 1/2 cups enchilada sauce over the top of the enchiladas and top with more cheese. Bake at 350 degrees F uncovered until cheese is melted and sauce is bubbling at edges, about 20 minutes. Serve enchiladas with scallions, sliced avocados, cilantro, sour cream, and queso fresca cheese or as desired. NOTES Store any leftover enchilada sauce in the fridge for up to 1 week and in the freezer for at least 2 months. 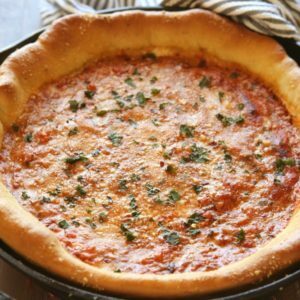 This recipe originally published November 2016. I love enchiladas filled with squash!! Love the mushrooms and poblanos that you added in. Gotta try these soon! I’m loving the filling in these enchiladas and could really go for these for dinner soon! Oh I’ve never made enchiladas before. But this recipe might change all that because I’m so crazy for squash that I need these in my life! But I hear you about squash fatigue. I think I actually need to take a little break before I burn out for the season…or turn orange. Lol! Love this! Pinned and will be making ASAP. My husband doesn’t think he loves butternut squash, but I will prove him wrong with this 🙂 I love the way all of these flavors sound together! 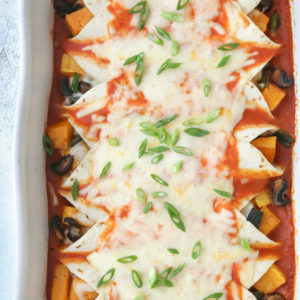 I LOVE the addition of butternut squash to these enchiladas! My kids would devour these!! Such a brilliant idea to blend the butternut squash into the sauce! This would be a hit with my family! Give me enchiladas! 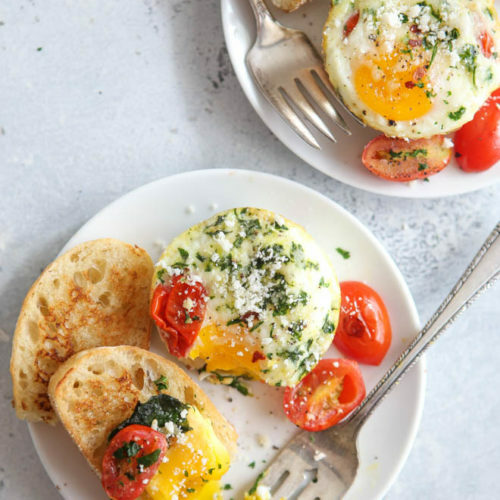 These are definitely on my up-soon make ’em for dinner list! I absolutely love that you put butternut squash puree in the sauce! Just roasted my first butternut squash the other day and was surprised at how easy it was. This sounds like a great recipe to try! At first I was a bit scared because I didn’t see a single comment saying they had actually made it and liked it but I had all the ingredients and guess what…I made it and LOVED it! Wonderful! I’m so happy to hear you liked the recipe! OH MY theses were so delicious. I made them last night and even ate some for breakfast this morning with a fried egg on top. I used Whole wheat flour tortillas to add in some extra “healthy” and don’t think it took away from the dish at all, hardly even noticed under all the cheesy saucy goodness. I didn’t have scallions and used chopped raw onion on top which I think I may actually prefer (that’s what my mexican husband uses all the time on our food anyways). I also didn’t have any queso fresco so i used parmesan cheese instead and it was great! The sauce was amazing, love the addition of squash in it. I loved the combo of butternut squash, mushrooms and poblano, YUM what a great idea! TWO THUMBS UP! I will be making this again for sure. 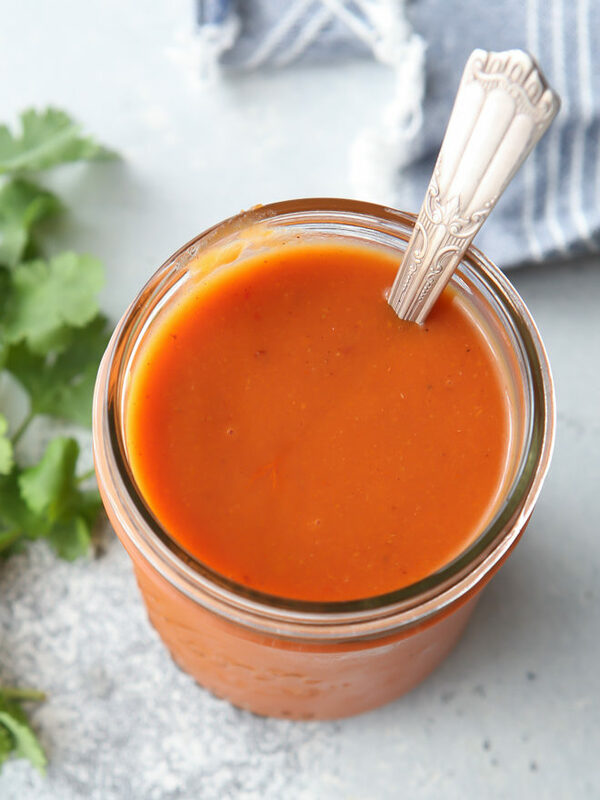 I’m already wondering what other kinds of veggies I can sneak in with this wonderful sauce! Thanks so much for the feeback Katie! I’m so happy to hear you enjoyed these enchiladas! 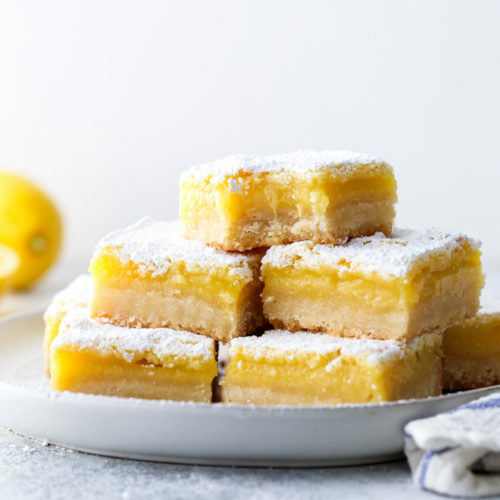 I made these for a double date with friends and now my husband requests them once a week. He is a believer that there should be meet at every meal, but he claims he doesn’t even miss it. Thanks for converting him!